If you're considering nose surgery, the following information will provide you with a good introduction to the procedure. For more detailed information about how this rhinoplasty may help you, please call our Binghamton office for a consultation with Dr. Walker. Rhinoplasty can correct a variety of conditions including an over-sized nose, a hump on the bridge, an undesirable shape of the nasal tip or a narrow or wide span of the nostrils. Both frontal and profile views of the nose are corrected to complement other facial features, and to provide a balance of proportions. Rhinoplasty can also be used to correct for breathing problems caused by narrow or partially obstructed nostrils. If you are self-conscious about your nose, this surgery can open up new possibilities for changing your appearance and your self-image. During the consultation, Dr. Walker will discuss the changes that you would like to make in your appearance. Because the appearance of your nose is a matter of personal perception and preferences, you will need to discuss your concerns in detail so he can determine the appropriate alternatives. Dr. Walker may also point out other problem areas. For example, some patients who want Rhinoplasty also have weak chins. In these cases, a chin implant might be considered as a part of the operative plan. A thorough medical history and directed physical examination of your nose and other facial features will be done during your visit. This will involve identifying functional as well as cosmetic issues. It is important for you to provide any history of trauma or surgery that you have had to your nose. You should also inform the doctor of any seasonal allergy problems. Special considerations should be reviewed with your surgeon. For example, what influence will Rhinoplasty have on your voice if you are a singer? Our office has state of the art Computer imaging used in consultation. Computer imaging is a very useful adjunct to visualizing what you may look like after the procedure. While not a guarantee of results, it is a great benefit in preoperative planning. The process enables you and the doctor to discuss possible changes on your image before any operative procedure takes place. Not only will it help you and Dr. Walker determine what might be reasonable, but also what is not feasible in surgery. Dr. Walker uses imaging after a full discussion of the procedure, risks and complications, costs and recovery have taken place. Rhinoplasty is generally performed under a general anesthetic or rarely with local anesthetic and sedation, depending on what procedure is being done. Incisions are made inside the rim of the nostrils. Sometimes, tiny, inconspicuous incisions are also made on the rim of the nose. Soft tissues of the nose are then separated from the underlying structures, and the cartilage and bone causing the deformity are reshaped. The exact nature of that sculpting depends on your particular problem, and will be discussed at the consultation. If the nose is being reduced in size, the nasal bones are carefully fractured toward the conclusion of the procedure. Breathing problems may be improved by a septoplasty and/or turbinectomy in which airway obstructions are removed. There are two major ways to perform a Rhinoplasty: the closed and the open techniques. The open technique includes an incision across the colummella, the small skin between the two nostrils. One major advantage of this technique is the ability to completely visualize the internal structures of the nose, and place sutures precisely where they may be required. The scar is most often quite small and fades rapidly. The closed technique does not require an external incision, heals more quickly and does not disturb the tissues as much as the open technique. The type of changes being performed often determines the choice of technique. 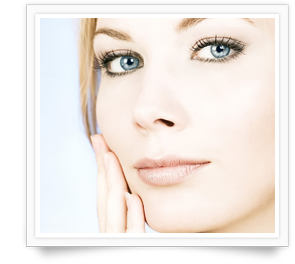 Dr. Walker is trained in both methods of Rhinoplasty. At what age can Rhinoplasty be done? Nose surgery should generally be delayed until after age 15 for girls, and 17 for boys (since boys have their growth spurt later than girls). By this time, the nose is 90% of its adult size. However, not every teenager who dislikes his or her appearance is a good candidate for Rhinoplasty; many of them will outgrow their dissatisfaction with their nose. About 10% of all Rhinoplasties are performed in people younger than nineteen. In adults, the aging process frequently results in your nose becoming longer and drooping more as the skin loses its elasticity. Elevation of the nasal tip may give the patient a younger look. The procedure usually takes two to three hours, but on occasion it may take longer. Not necessarily. This procedure is performed in the hospital as an outpatient. You will most likely be able to go home a few hours after surgery. When combined with an airway procedure, Dr. Walker often recommends a one-night hospital stay. Surprisingly, there is very little pain after Rhinoplasty and most patients require only mild analgesics. The greater complaint is nasal congestion from packing in the nose. This causes dryness in the mouth and loss of the ability to taste food. Packing, when utilized, is removed after a few days. If the nose is being reduced in size, a splint will have been applied and the nose will be packed lightly with medicated gauze. The stitches are self-absorbing and do not require removal. If an incision is made across the columnella, or vertical strip of tissue separating the nostrils, skin stitches are placed which require removal in 3-5 days. The need to do this is usually identified and discussed fully prior to the procedure. There will be some swelling and stuffiness for several weeks, but patients usually resume normal light activity after a few days. It will take several weeks before the nose is completely healed to allow full physical activity. You should be able to return to sedentary work after a couple of days. Although there is some pain in the first 24 hours, after this there is usually just a feeling of pressure and stuffiness. You will still look puffy and swollen. You should keep your head elevated above the level of your heart for the first few days to reduce swelling. Bruising around the eyes is to be expected, usually peaking around 72 hours and subsiding in 7 - 10 days. Cold compresses will help to reduce the swelling around the eyes. You may have a little bleeding too, so you will probably want to change your gauze bandages a few times a day for the first several days. After 3-5 days, packing will be removed. By the end of the first or second week, all splints, bandaging and stitches will have been removed. You will still need to be careful to not blow your nose for about three weeks, and avoid bumps to the nose for about six weeks. Eyeglasses should be taped to the forehead, off the bridge of the nose, for the first month. You may not be completely back to normal for several weeks. Your nose might be numb, especially if there have been considerable changes made to the tip. You should use extra sunscreen, be gentle when washing your face, and avoid strenuous activity for about 4 weeks. Many people seem to blossom with positive personality changes after this procedure. A new sense of confidence is the most frequently observed change. Temporary blues after the procedure have also been reported and is generally attributable to two causes: (1) it takes up to six months after the operation to see the complete results of the procedure and (2) Rhinoplasty changes the appearance that you've grown accustomed to. With a lifestyle that will accommodate the restriction of activities required during the recovery period (i.e., no contact sports or other activity that could cause injury to the newly reshaped nose). The above is only a partial list of the criteria that your surgeon will consider in determining whether or not this procedure is appropriate for you. Note: A previous Rhinoplasty does not necessarily preclude you from having this surgery.